We are pleased to announce the free, public release of the Bone Health and Mineral Model! Visit Github to download directly today! The model was originally developed to describe the bone marker changes associated with denosumab administration from a then ongoing clinical trial. 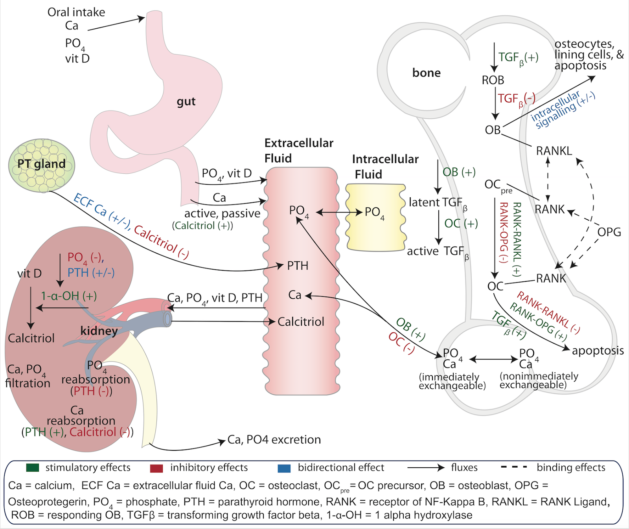 Associated changes in serum calcium and PTH were also considered of interest at the time and so justified the development of a ‘systems’ model that included bone remodeling and bone mineral (calcium and phosphate) homeostatic mechanisms. Other therapeutics (e.g., teriparatide) and disease states (kidney failure, parathyroid-related abnormalities) were also considered at the time to further inform the parameterization and estimation of the model (Peterson and Riggs, Bone 2010).